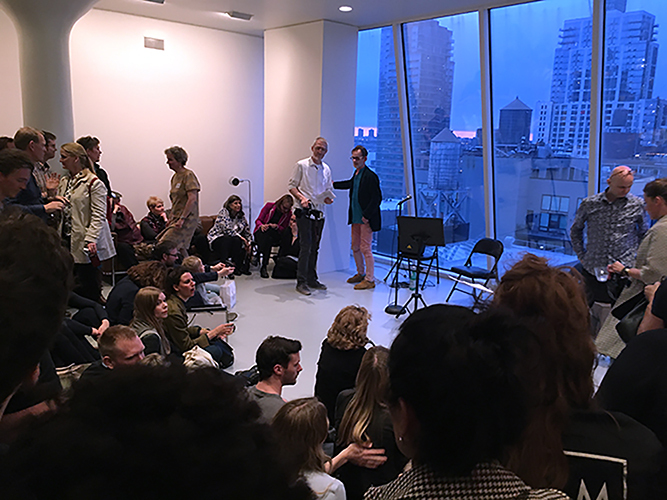 On April 13, as part of the reception for Other Hats: Icelandic Printmaking, IPCNY audiences enjoyed a special performance by Megas, exhibiting artist and Iceland's most renowned songwriter. He performed in the 12th floor loft space, and showed us what it means towear "other hats" as a multidisciplinary artist! Free and open to the public but please reserve your seat! 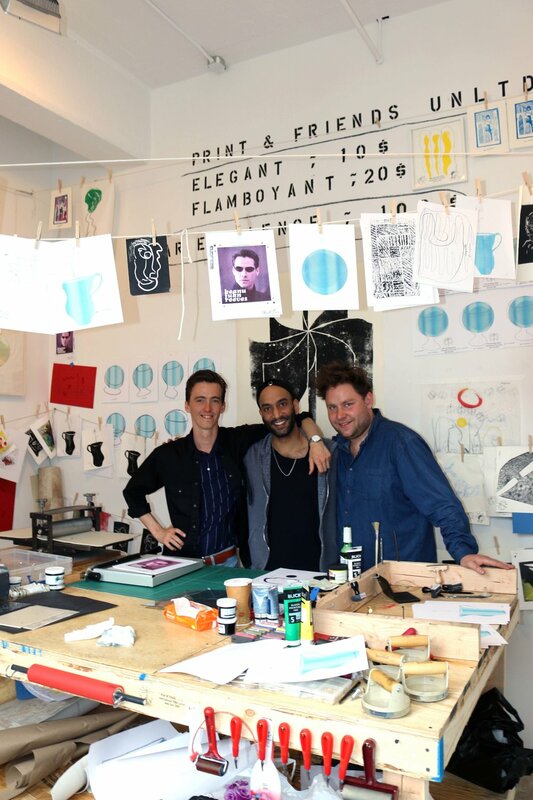 Randy Cohen interviews Other Hats: Icelandic Printmaking exhibiting artist Hallgrímur Helgason (Icelandic, b. 1959). Hallgrímur is an artist and author based in Reykjavik, and a prime example of the multidisciplinary Icelandic art scene. His first novel, 101 Reykjavik (1996), received a film adaptation. A translation of his recent novel, Woman at 1000 Degrees (2011) will be published by Algonquin Books in 2018. He is also an inventive painter, draftsman, and printmaker. This event is made possible through funds from the American Scandinavian Foundation.